The 800w Ecostrad VeeSmart offers intuitive app control and energy-efficient heating for open living spaces and sizeable bedrooms. This designer electric radiator is one of the largest in the range and comes finished in arctic white for a clean, crisp aesthetic that complements any interior. The VeeSmart is designed for a professional, hardwired fitting only and is not supplied with a plug for this very reason. The radiator must be hardwired into a fused spur. Attaching a plug to the cable will void the warranty. Download or view the Ecostrad VeeSmart radiator manual and thermostat manual. 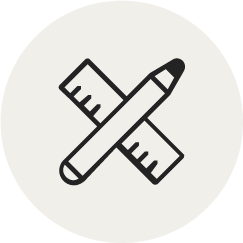 Download or view the Ecostrad VeeSmart specification. Download the Terma BlueLine app for Android or iOS. The radiator body and the heating element will arrive in the same box, but will need to be connected by your installer. Please be aware that the larger sizes are heavy, so you may need two people to lift and mount your radiators. Please note that our 1000w horizontal VeeSmart electric radiators come fitted with 2 x Terma KTX 4 Blue heating elements. 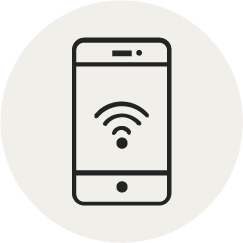 To access the full programming capabilities of the VeeSmart, a compatible Bluetooth enabled mobile device is required. VeeSmart radiators are rated IPX5 and can be installed in a suitable bathroom location by a professional electrician. They must be hardwired and wall-mounted in a location at least 1m away from water sources to prevent surface corrosion. For further installation information, please see the VeeSmart mounting guide and product dimensions. All Ecostrad VeeSmart radiators come with an 8 Year Manufacturer’s Warranty on the powder-coated finish and a separate 2 Year Manufacturer’s Warranty on the electronic heating element. Few electric heating solutions offer the prestige of the Ecostrad VeeSmart, with its high-quality steel body, sophisticated design and precision control. These designer radiators fulfil two room requirements in one: providing comfortable and efficient heat, as well as an elegant accent to any design scheme. This llarger 800w version of the VeeSmart has a horizontal body finished with a glossy arctic white powder coating, allowing it to blend harmoniously with any interior décor style. One of the most impressive features of the VeeSmart is its cutting-edge Terma KTX 4 Blue heating element, which offers a level of control on par with some of our most advanced electric heating systems. 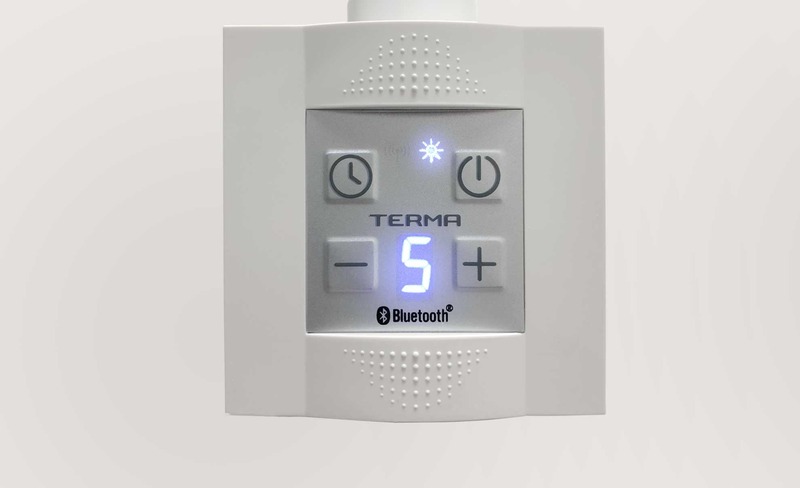 Using the Terma BlueLine heating app and a Bluetooth enabled mobile device, you can adjust your VeeSmart’s heat levels from your phone or tablet with ease and even create a custom 7-day heating schedule. If you don't want to use a mobile device to control the VeeSmart, the heating element also includes a simple, push-button interface which allows the heater’s output to be increased or decreased incrementally between 1 – 5 stages. The interface is situated on the right side of the radiator and can be rotated by up to 90 degrees for ease of use. The KTX 4 Blue incorporates a host of other useful functions to make your VeeSmart convenient and easy to use. If you only want to use the VeeSmart for a short period of time, you can make use of its convenient timer function. This feature allows the radiator to warm for a restricted period between 1 – 4 hours, after which it will switch off automatically. 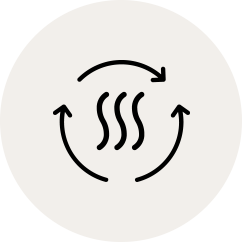 An anti-frost mode is also included, which will activate when ambient temperatures fall below 6 °C to prevent pipes from freezing. A temperature sensor in the KTX 4 Blue element limits the maximum operating temperature of the VeeSmart to 60 °C. As an additional safeguard against overheating, the heating rod also includes a fuse which will cut power to the radiator if it exceeds a temperature of 82 °C. The VeeSmart has an IPX5 protection rating, making it suitable for installation in bathrooms, provided it is hardwired by an electrician and mounted at least 1m away from water sources to prevent surface corrosion. Though the VeeSmart is not suitable for plug-in installation, it can be quickly and easily wired into a fused spur by a professional. The sleek, contemporary look of the VeeSmart will bring out the best in any interior, offering an understated appeal all of its own. 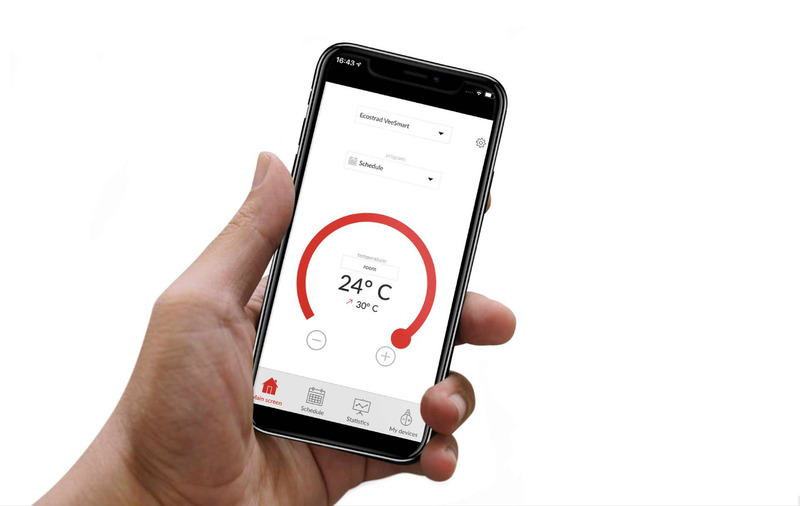 Manage your heating from your phone or tablet with the VeeSmart’s innovative Bluetooth controller and app, available on iOS and Android. Using the VeeSmart’s heating app, you can program your radiators hour by hour, day by day for reliable comfort throughout the week. VeeSmart electric radiators come pre-filled with a thermal fluid for superior heat retention and optimum energy efficiency. At a depth of 40mm, few electric radiators are as slim as the VeeSmart. Its minimalistic aesthetic makes it a stylish and unobtrusive choice for any room. All VeeSmart designer electric radiators have their powder-coated finish covered by an 8 Year Warranty for extra peace of mind. VeeSmart radiators are hand-crafted to an exceptional level of quality, with every part of the process closely checked and tested by specialists. Its enhanced heat retention, advanced digital programming and clean, contemporary aesthetic elevate the VeeSmart to one of the best in class. Using the compatible Terma BlueLine heating app, any number of VeeSmart designer electric radiators can be paired to your mobile device using Bluetooth. Create multiple weekly schedules, adjust the programming for each of your heaters, or set different temperatures in every room – the app provides complete control from a point of use that’s always to hand. It also offers the total daily operation time for each heater so you can calculate your running costs and identify where to save energy. The Terma app is compatible with both Android and iOS devices and has an intuitive graphic user interface. The VeeSmart comes with a revolutionary KTX4 Blue heating element that allows your radiators to be controlled via Bluetooth. If you prefer to adjust your heating manually, the element itself offers responsive control with the push of a button. 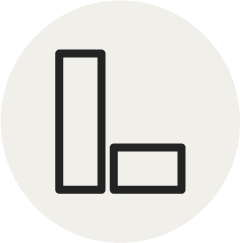 Select from 5 heat levels using the + and – keys, set a 4-hour timer with ease, and isolate individual radiators by turning them on or off. Whether you prefer to use the app or the heating element itself, the KTX 4 Blue has you covered – providing convenient, hassle-free heating at your fingertips. We stock horizontal and vertical versions of the VeeSmart in both black and white. Browse our full range today for inspiration. 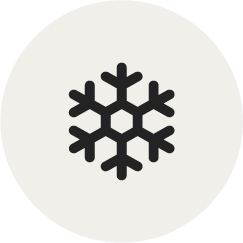 The VeeSmart’s anti-frost feature activates when temperatures drop below 6 °C to prevent pipes from freezing. 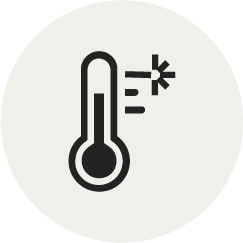 An internal sensor in the element limits the maximum operating temperature of the VeeSmart to 60 °C and includes an additional thermal fuse which cuts power if it exceeds 82 °C.